Fourteen people were killed after a bus carrying a team of young hockey players to a Friday night playoff game in Saskatchewan was hit by a semi-trailer — a crash that sent shockwaves throughout the hockey community in the province and far beyond. 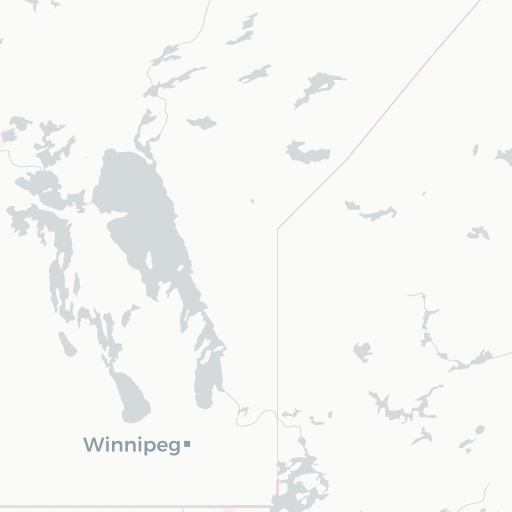 The crash happened near Tisdale, about 300 kilometres north of Regina, prompting several air ambulances to respond and sending victims to multiple hospitals in the region. The RCMP confirmed early Saturday morning that 28 people were on the bus, including the driver, 14 of whom were killed. The remaining 14 were taken to hospital with a range of injuries, including three in critical condition. The crash, which involved a bus carrying members of the Humboldt Broncos, brought back memories of another fatal crash, in 1986, in which four members of the Swift Current Broncos were killed. The Humboldt Broncos were traveling to Nipawin for Game 5 of the teams’ playoff series. The Broncos’ playoff roster includes two dozen players ranging in age from 18 to 21. Their hometowns are mostly in Saskatchewan or Alberta. The president of team said parents from across Western Canada were rushing to the scene as they struggle to cope with the tragedy. “It’s one of the hardest days of my life,″ said Kevin Garinger. Garinger, who has one of the players living in his home, said they still don’t know his fate. ”We don’t know who has passed and we don’t expect to know right away,″ he said. Michelle Straschnitzki, who lives in Airdrie, said her 18-year old son Ryan has been taken to hospital in Saskatoon. ”We talked to him, but he said he couldn’t feel his lower extremities so I don’t know what’s going on,” she said, noting she will go to Saskatchewan on Saturday. The team includes Parker Tobin, an 18-year-old goalie whose hometown is listed at Stoney Plain, Alta. Her previous posts include pictures and retweets about hockey, including a March 27 retweet of an article from the Humboldt Broncos website noting that Parker Tobin had been named Saskatchewan Junior Hockey League goaltender of the week. Friends and family were gathering at the Apostolic Church in Nipawin. People were also gathering at the hockey arena in Humboldt, waiting for news. 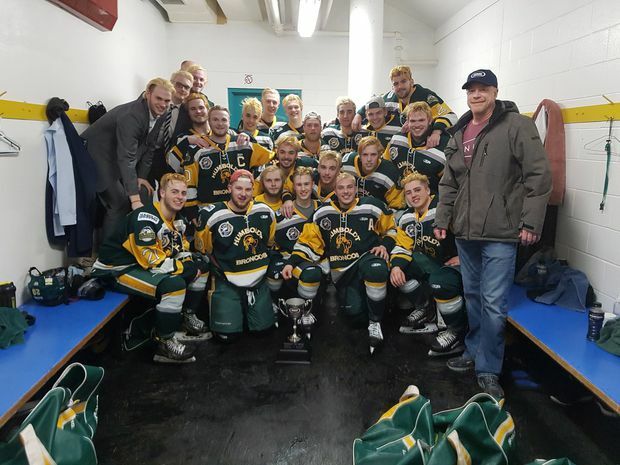 Members of the Humboldt Broncos junior hockey team are shown in a photo posted to the team Twitter feed, @HumboldtBroncos on March 24, 2018 after a playoff win over the Melfort Mustangs. Darren Opp, president of the Nipawin Hawks, said a semi-trailer T-boned the players’ bus. Mr. Opp said the coaching staff and players from the Hawks are waiting to help. STARS, the air ambulance service that operates in Alberta, Saskatchewan and Winnipeg, dispatched three air ambulances. Spokesman Mark Oddan said one patient was transferred to Royal University Hospital in Saskatoon and another was en route to the hospital. A third aircraft remained on the scene. RCMP said the collision occurred late Friday afternoon on Highway 35, about 30 kilometres north of Tisdale near the junction of Highway 335. 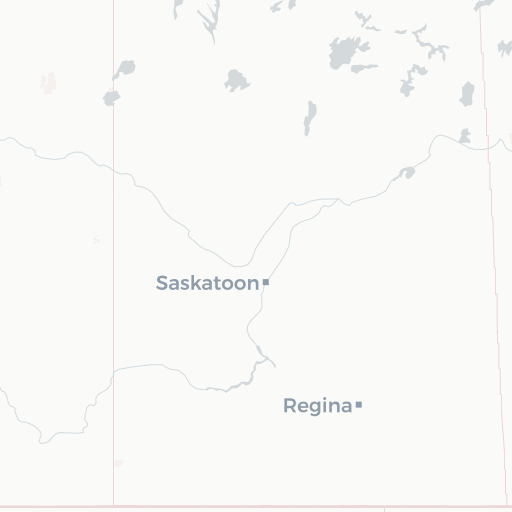 Doug Dahl, spokesman for the Saskatchewan Health Authority, said patients were being routed to several hospitals in the region, but he couldn’t provide specific numbers. Pastor Jordan Gadsby at the Apostolic Church in Nipawin said more than a hundred people had gathered at the church — including parents and grandparents of the players who were on the bus. Mr. Gadsby said they know there are multiple fatalities, but they haven’t heard how many. Kevin Henry, a coach who runs a hockey school in Prince Albert, Sask., said he knows players on the team. Prime Minister Justin Trudeau posted his condolences on Twitter. “I cannot imagine what these parents are going through, and my heart goes out to everyone affected by this terrible tragedy, in the Humboldt community and beyond,” he wrote. In Nipawin, Mayor Rennie Harper said hockey is a big part of the town and the broader community.